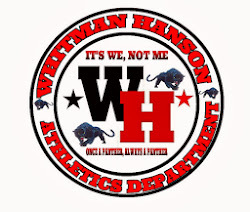 Whitman Hanson played away at Quincy tonight. Quincy got on the board near the end of the first half. 1-0 going into half. The second half was a great battle from both sides. W-H got on the board in the 25th minute. When senior Ben Rogers headed the ball to Dalton Desrocher to tie it 1-1. The score stayed that way until the 79th minute when Quincy scored on a free kick that was tapped in on the back post. W-H is 3-5-1 overall and 1-5-1 in the Patriot League.